In the past few years, there have been several inquiries regarding the HBLT’s ability to perform tests that comply with different ISO standards. Crescent Design’s HBLT can perform tests that are ISO 594 compliant. The HBLT can be programmed to perform the test method described in ISO 594-1 and 2, section 5.2 (test method for liquid leakage from fitting assembly under pressure). 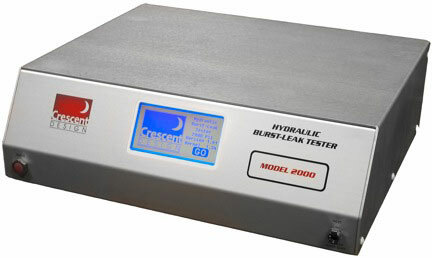 The HBLT can detect a “leakage sufficient to form a falling drop” as required by ISO 594. The video shows the HBLT being used in conjunction with Pressure Manager Software so that the ISO 594 compliant test can be visualized. This entry was posted in Burst and Leak Testing, HBLT.